Publishing trends have seen a lot of change in the last few years! What was once an impossible, elite endeavor has now opened up. There are now many paths for getting your work into the world. Even “self-publishing” trends have changed drastically in the last 10 years with Amazon, Print on Demand, and marketing through social media. Politics and current affairs have taken hold of people’s consciousness, as well as burgeoning cultural upheaval. As celebrities and people who were normally part of the entertainment world participate, entertainment and awareness meld together. While 2016 and 2017 didn’t have any “blockbuster” books by industry standards, the top-sellers were non-fiction books and biographies by authors like Ta-Nehisi Coates, Ed Asner, and Hisham Mattar. This means the market for thoughtful, real-life discourse is expanding. People are looking for what they can’t get online. Digital fatigue is real. As camera phones and digital photography mean images are everywhere, print pieces become both an antidote, and a coffee-table status symbol. Publishers like Tacshen find their way into retail establishments like Neiman Marcus, indicating the value of books as objects of beauty. 2018 will see the luxury status of books increase, as people encounter them out in the world and off the traditional shelf. The key 18-35 demographic has either never seen, or barely remembers, life before digital media. As a result, the most successful content will span both realms. Books will have a digital element—links to supplemental video content, subscription-based email content, access to discussion and fan forums, etc. The converse is also true. You’ll see those who gained audience and influence in the digital space turn to print as a way to not only monetize content, but build credibility and authenticity. This comes from a few things. It used to be that shelf footage in brick-and-mortar stores determined what stayed in print. Books that didn’t sell were taken off the shelf to make room for ones that did, limiting the competitive field. Only so many books were available to buy. Ebooks changes that. They never go out of print. It may be easier and cheaper to enter the ebooks arena, but that digital advantage is rapidly diminishing. As the number of books exponentially increases, readership does not. It could be that by the end of 2018, we see the competitive advantage in both arenas level out. This is also threatening digital advantage. With ebooks available for free with this subscription model, books that enter into Kindle Unlimited have a margin that can be one-tenth what it used to be. Furthermore, ebooks with traditional ebook pricing won’t be able to compete with the free, unlimited books available with Kindle Unlimited. This further diminishes the ebook advantage of the last 5 years. The success of Netflix, Amazon Prime, and even paid Medium shows that people are willing to pay for good, even serialized content. The resurgence of bespoke magazines like Kinfolk and the launch of the new Airbnb Magazine with Hearst Publishing, suggests that print is holding fast as part of that revenue model. This will only continue to grow. This fusion of self-publishing and traditional publishing is hard to define, in part, because it keeps changing so rapidly. Publishing expert Jane Friedman identifies what to look for in a hybrid publisher, and those traits show some real market evolution in the book world, where companies sell not only their design and marketing services, but access to their following and demographic. Niche publishing with a higher profit share and a more dedicated market becomes a viable and legitimate way to find success. As the competition gets more ferocious, so do the efforts to stand out. Cloud-based collaboration apps and design tools mean that book covers and marketing have a sleeker look and cost more. As design services become more available and accessible, so does the need to use them. Bold typography, the color pink, photography; some of the design trends we saw surface in 2017 aren’t going away any time soon. Take a look at this list and get inspiration for your own project. Neutral colors, high contrast, plenty of white space; marketing materials and book design will continue to find innovative ways to use as little as possible. For a contemporary, of-the-moment, relevant look for your project, make the most of clean lines and that less-is-more philosophy. Highly stylized, overly-filtered, or artificially-lit images are staying in the past. Photo sites like Unsplash, with gritty, authentic lifestyle photography are making their mark on the design world, where the look and feel of standout projects takes a less-polished approach. To sell your book, you’ll need to build your following, which can’t be done in a vacuum. 2017 saw a growing connection between self-published authors, who supported each other through reviews and giveaways. This grass roots marketing will become ever more prevalent as the competition grows. We’ll see cross genre and cross-product book promotion, as writers take cues from digital creatives with brick-and-mortar retail partnerships. Collaboration projects between digital influencers were common in 2017. We’ll see authors, bloggers, and influencers in both the print and the digital space continue to work together, leveraging each other’s audience for mutual benefit. Facebook and Instagram Live have taken static content and brought it to life in a new, engaging way. People are hungry for it, and the engagement numbers show it. Look for video and live seminars and webinars to build an audience with print pieces acting as viable commercial supplements to that exciting, but transitory content. For the first time last year, mobile engagement with content surpassed desktop engagement. Not only will authors need a powerful presence in the digital space with a website, but it needs to look its best on a mobile device. When developing content or marketing in 2018, think mobile first. This is perhaps the single biggest shift we saw in 2017, and it will only become more important in 2018. You don’t have to convince people to shop on Amazon. You have to convince them once they get there. Amazon launched its own internal advertising, with the ability to promote products and visibility in its search. Amazon also commands more than a third of all book revenue, and 70% of ebook revenue, so these developments can’t be ignored. Ad dollars from major players will shift from Facebook to Amazon, and while yours may not have to, it will be helpful to tie your books, if you can, with the products that are optimizing Amazon’s internal ad opportunities. 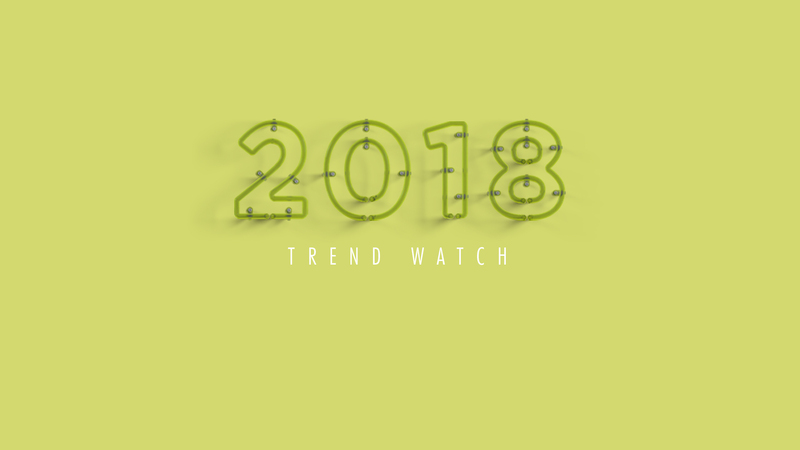 Self-publishing trends have always favored the savvy, business-minded authors, but what we’re seeing in 2018 is that other cultural and media trends are informing the markets and methods. There’s a familiar illustration when it comes to self-publishing. Self-publishing is like re-modeling the kitchen. Sometimes, you win the lottery and someone comes to do it for you, as in traditional publishing. This is part diligence, but also a lot of luck. Short of that, when it comes to installing the cabinets, you can buy them pre-built, pay to have them installed, or you can buy the supplies and do the work a little bit at a time, according to your expertise. 2018 offers more tools, more access to instruction, more materials than ever before. What you do with all of this is more up to you than ever. The promotion aspect trends you mention really hit the mark for me. The interest in AMS ads versus Facebook, especially with Facebook advertising seeing an increase in cost, will be huge I think. Thank you for compiling this list! Great discussion, I am in marketing and very interested in the self-publishing segment. Looking for good articles or sites that track trends such as number of printed self published books per year, types, how many have digital media in them and who prints them. And a list of companies that offer service in this area so that I can interview them.